When it's time to replace the pulley on your flagpole, Gettysburg Flag Works is your source. We offer pulleys and all different flagpole hardware and accessories for your project. The pulleys shown here are for mounting to the side of a flagpole or for use on a building, telephone pole or other structure. 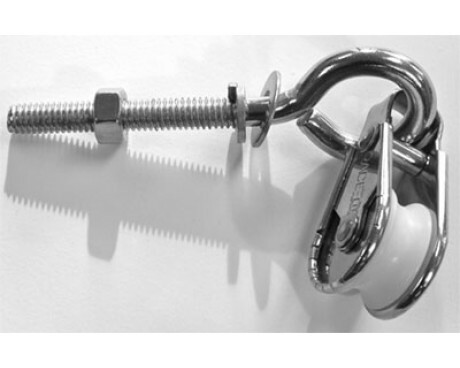 An eyebolt pulley option is perfect for mounting to a hollow structure, while the vertical mount can easily be bolted, screwed or even banded to many different materials or shapes. 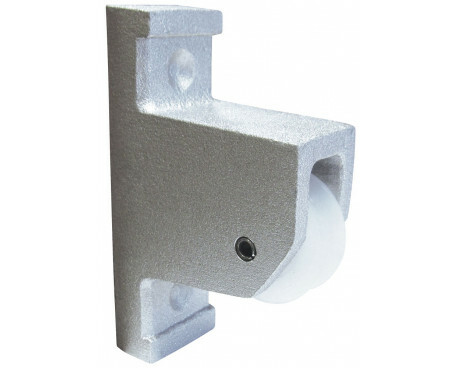 Choose from stainless steel and zinc eyebolt pulleys or a variety of colors for the vertical mount aluminum pulley. 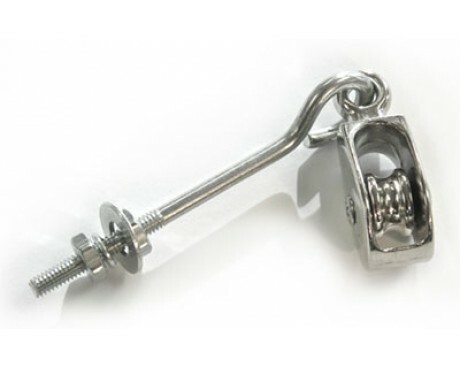 Our replacement pulley parts are available in nylon and aluminum for a variety of halyard diameters. We recommend replacing your halyard regularly and watching for wear on the other parts of your flagpole. Worn parts can fail and cause more damage to your flag and flagpole. 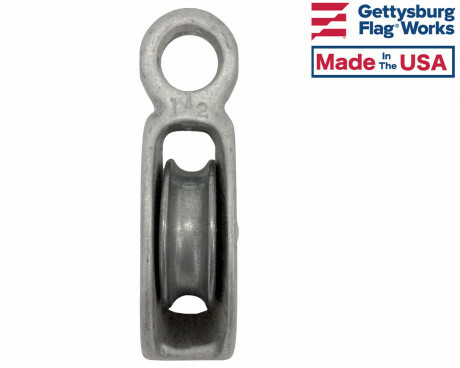 Customers who've purchased replacement flagpole pulleys also purchase halyard , cleats , & flagpole lights .